Calm down, calm down,there’s more on the way! Noodle making. 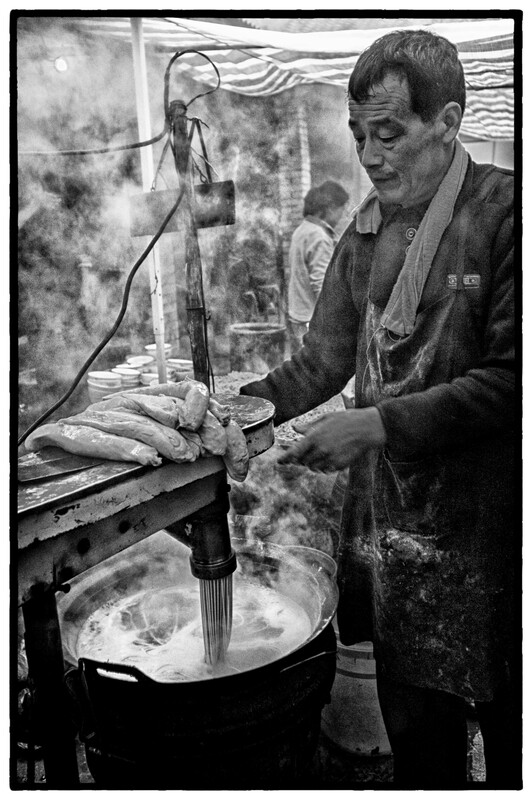 The dough is hand kneaded and usually hand drawn into the fine strands of noodles but because of the vast volumes needed to keep the village wedding guests happy, a machine needed to be used to draw the dough into the fine streams of noodles. A fantastic process and some very delicious soup noodles were enjoyed by hundreds of guest’s at all three meals on all three days. Noodles are a big part of Chinese cuisine especially in the north and North West of China.